• Comments Off on Horrible Bosses! These three habits are sure to make you a drag to work for. Could you be one of these horrible bosses? Horrible Boss One: The Micro-Manager. A micromanager is not really a manager. 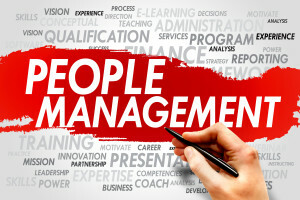 A manager is someone who can properly hire, train, motivate, and delegate responsibility with quantifiable success factors; there would be no purpose in micromanaging if a boss hired, trained, and empowered the correct people, and understood how to ensure his/her employees were on task. Horrible Boss Two: The Introvert. Opposite of the micro-manager, but equally frustrating, is the boss who is invisible. A career is much more than a paycheck, it is a where skill and education are honed for improvement and growth. A good manager not only manages but motivates, encourages, and provides opportunity for his or her employees to learn new skills grow within their field. A hands-off manager doesn’t advocate for growth and upward movement. Horrible Boss Three: The Meeting Monger. In some business arenas there is an unwritten school of thought that for ‘important meetings,’ one should wear a large, expensive-looking watch, bring an oversized briefcase full of papers, bring a water-bottle to sip (so as to seem at ease among such important people), and should take up as much physical space as possible (above and below the table) to impose significance. The reason for all of this counsel? Because these meetings are a huge, ego-boosting, waste of time. A skilled leader doesn’t need to draw attention to his authority or rank; he or she knows how to decipher the ins and outs of the job or project at hand in the office and then knows how to communicate necessary details to the correct people, briefly. The meeting monger who wastes hours upon hours in the conference room is only wasting precious, workable minutes and is likely just making a power move. ← So, What Do You Know About Our Company?